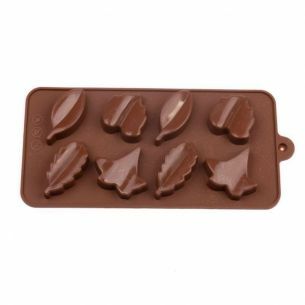 These silicone chocolate moulds will make your chocolates look as good as good as they taste. . Suitable for use in ovens, microwaves or freezers. . 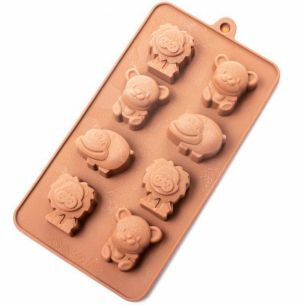 These chocolate moulds can withstand temperatures as low as -60C and hot as +260C . . Flexible with deep cavity. . Great for making chocolates, butter, gelatin, bite-sized cakes, cookies, and even ice cubes. . The Molds can be washed with hot water or in the dishwasher. . Half ball with nut hole on top. Just dip the end of your nut in chocolate. 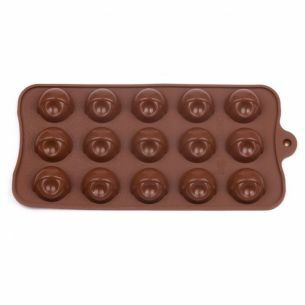 Silicone moulds are ideal for Chocolates Butter Gelatine Bite-sized cakes Cookies, and even ice cubes.